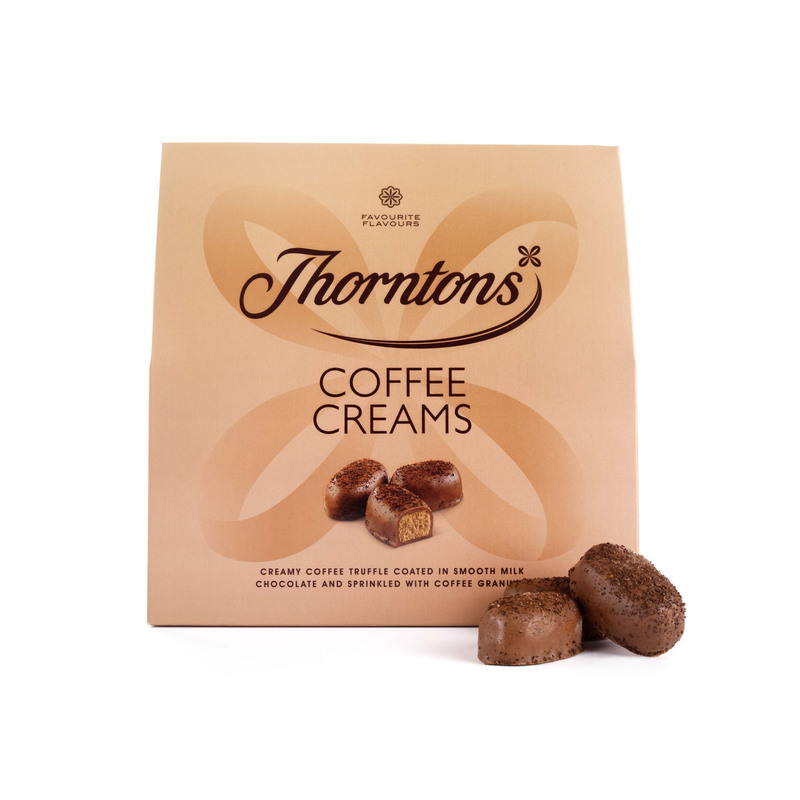 Coffee Creams are a Thorntons Classic Collection favourite – and they're now even better! 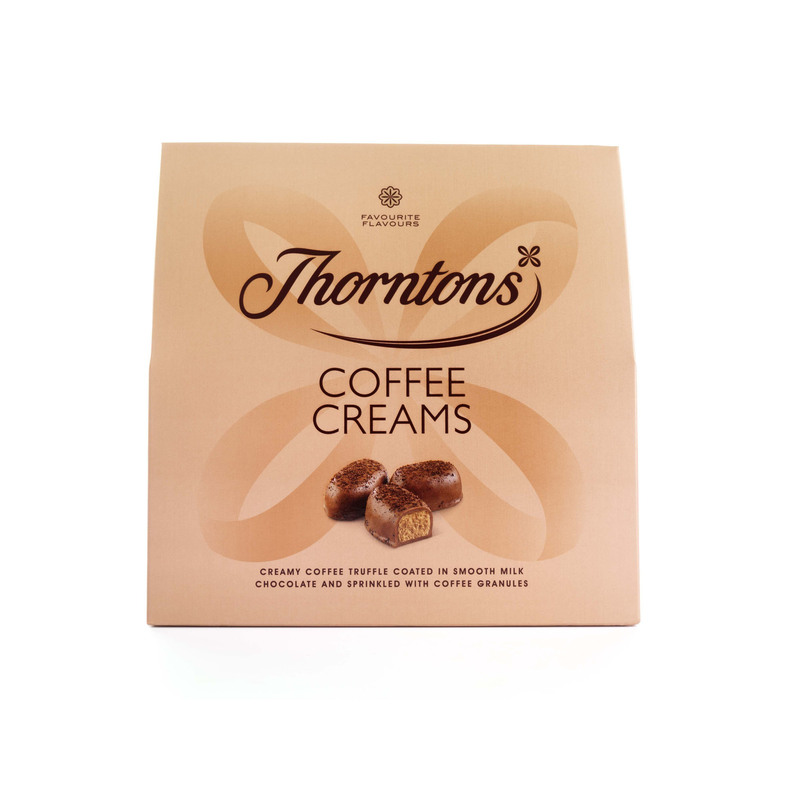 This new look coffee-coloured box makes a sweet gift for someone who loves that delicious coffee and chocolate combination. 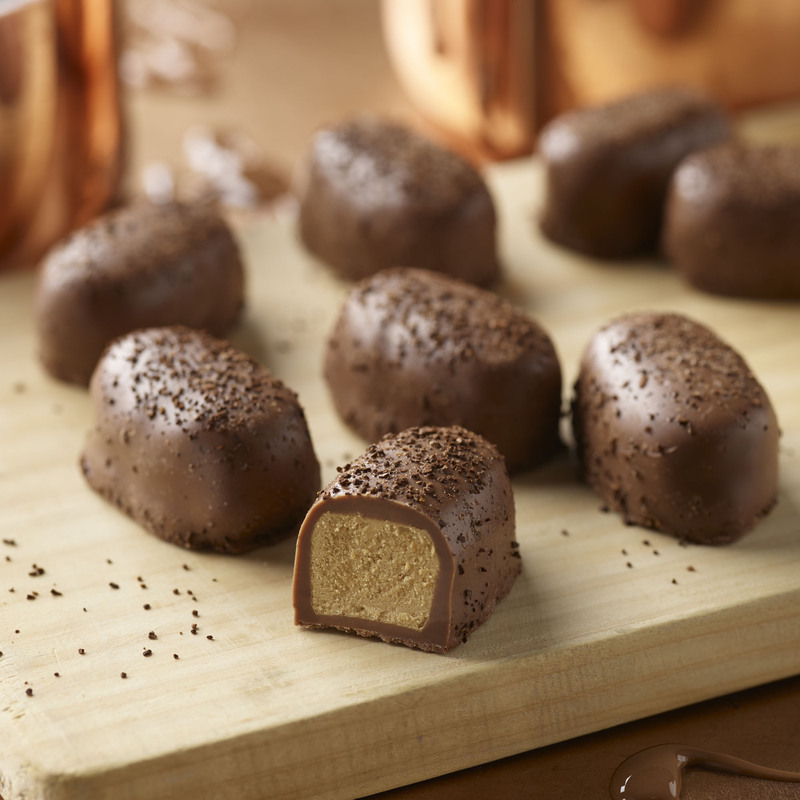 Containing two bags of creamy coffee truffles coated in smooth milk chocolate and sprinkled with fine coffee granules, this ballotin-style box is a perfect pick-me-up treat to give or to keep!